When Rob Thomas and Kristen Bell succeeded in raising an astonishing $5.7 million from more than 90,000 donors to produce a movie centered on the one-time teen private detective Veronica Mars, most people called it one of the greatest Kickstarter successes of all time. But much more than a crowd-funding platform success, the Veronica Mars movie marks a much bigger milestone. As Kickstarter CEO Yancey Strickler called it, the Veronica Mars movie is one of the greatest fan stories of all time. He's mostly right. Kickstarter provided the platform, but it was the dedicated fan base of the cancelled television series that convinced Thomas and the cast to consider a revival. Fans stuck with Veronica Mars for six years. The fans didn't just promote the cancelled television series online. They promoted it offline too. And even after rumors that Thomas was making a movie in 2009 fell apart, few of them gave up hope. They continued to promote the series with contests, events, book clubs, and social networks. "We were told that we made a difference in the decision to even launch the Kickstarter campaign," says Mark Thompson for Neptune Rising. "But once the the Kickstarter launched, we were just a pebble in the storm that represents the true fandom of Veronica Mars." According to Thompson, he heard about the Kickstarter campaign in its seventh hour and Thomas had already raised his first $1 million for the film. Within 24 hours, the campaign raised $2 million. At the same time, the entire campaign proved what the Neptune Rising team had said all along. The fan base behind Veronica Mars was much bigger than any social media metrics might demonstrate. 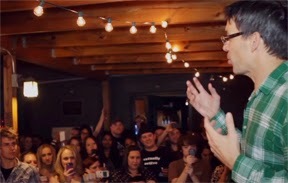 Even on the last day of the Kickstarter campaign, Thomas asked fans to meet him at an Austin bar. He anticipated 30-40 people. More than 700 fans showed up, including Jason Dohring. "I always had high hopes," said Thomas at the campaign party. "And yet there was this little bit of doubt in my mind ... what if the people telling us to make a movie are the same 20 people?" 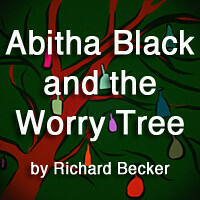 His one little worry is now long put to rest. Not only are there thousands of fans behind Veronica Mars, but they also represent the first wave of a shifting paradigm for television and film production that started in 2007. The size of an audience isn't the only consideration. Its passion is just as important. Even after fans invested $5.7 million into what became a $6 million film, they also turned out to see it in theaters. The movie went on to earn another $2 million during its opening weekend. After earning its top ten release spot, it slowly tapered off and settled somewhere around $3.3 million. Although it would likely take about $12 million for Warner Brothers to really consider a second movie, the fans who helped make the first one possible are doing everything to ensure their neo-noir detective won't slip away again. They're promoting DVD sales as well as a Veronica Mars novel. You can stay up to date on the progress of the film via By The Numbers. 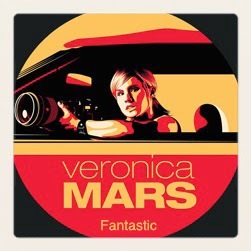 While many fans already own a copy of the Veronica Mars DVD, it's not uncommon for fan bases to spike sales by purchasing an additional DVD and gifting it to a friend. They've also spiked reviews, giving the movie higher ratings on iTunes and Amazon than most mid-level releases (although critics genuinely liked it too). If you haven't seen the film, suffice to say that diehard fans will love it as Veronica Mars resurrected. It takes place immediately after she finishes law school with Thomas and the cast planting plenty of insider tidbits and cameos to thank the fans for their long, hard fight. Unfortunately, everyone was so caught up in this as a labor of love, it wasn't as good as it could have been for a true introduction. And this is the reason it didn't do even better at the box office. It felt too much like a reunion. Fans are ready to stick with Veronica Mars for another six. Even so, does it matter? Warner Brothers could easily take the information it gleaned from this release and adjust for the next budget accordingly. Thomas could also pen a script that stays away from the reunion obligations and fights to make Mars into the neo-noir thriller she can be. The fans, it seems, are already working to support such an effort. Not only are fans from sites like Neptune Rising promoting DVD sales, but they are also coordinating book readings for the first official Veronica Mars book, Veronica Mars: An Original Mystery by Rob Thomas: The Thousand-Dollar Tan Line (Vintage) with Jennifer Graham. "As far as what's next, we'll have to see," Thompson told me. "But the fans of Neptune Rising plan on seeing even more of our favorite sleuth on either the big screen or the small screen." There isn't any reason to doubt them. Years ago, when an entire season of cancellations happened to decent shows (The Black Donnellys, Jericho, Journeyman, and Veronica Mars), Veronica Mars landed in the uncomfortable position of being on the near-abandoned bubble. It looked like fan efforts were going to fail. Seven year later, there are more diehard fans today than there were then. It's something to think about. In one form or another, Veronica Mars seems a long way off from solving her last case. And likewise, the movie proves that how networks and studios size up potential franchises is still evolving into smaller but increasingly loyal pools of viewers. Stay tuned. The most common explanation for pushback related to changes to social and search platform changes is that people are resistant to change. Some companies have even mapped out classic reactions to it. It follows a cycle. People deny the change will happen and then become upset when it actually occurs. This is sometimes followed by confusion, depression, and crisis. We're seeing it today. Companies were laying people off after Google made changes to Panda. Companies used teams like reachpocalypse after Facebook became more like paid media. Both platform changes have been highly publicized as if they are unique, but it happens all the time — tweaks, adaptions, and deaths. The Internet is in a constant state of change. Some people like to equate it to a world map, but it plays out much more like the chaos of a new cosmos. Every day, major players use their gravitational juice to expand, contract, and buy out other solar systems. It's a billion dollar game being played by titans who largely ignore the little people who worship or try to exploit them, except for the occasional swat. My response? 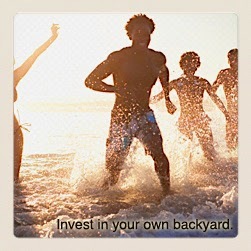 There are plenty of backyards. Problem solved. This isn't a new idea (and it doesn't mean that you abandon Google, Facebook, Twitter, etc. outright). All it means is that anybody who has been deep in the social space for any length of time has learned a lesson or two about playing in other people's backyards with other people's sand. Just not en masse. Sure, social and search can work wonders for some companies. But it doesn't work that way for all companies. It largely depends on who they are, what they do, and the kind of customer they reach. For example, it makes sense for search and social to play a prominent role in the outreach efforts of an Asian restaurant in Las Vegas that derived most of its business from hotel deliveries. While the restaurant has a loyal customer base, its primary revenue was derived from hotel staff referrals and visitors searching for Asian takeout. It made sense because there are two primary search drivers. 1. People search for things because they have no idea what exists. 2. People search for things because they know they exist somewhere. Content marketing and social media were mostly built to help capture the first kind of searchers while simultaneously engaging a few of those people enough to make them second kind searchers or, better yet, direct referrers who bypass searching all together. Ergo, sharing is an expression of gratitude that sometimes creates second kind searchers — people who have heard of you, your product, your service, your idea, your company. For a restaurant, it might mean someone saying "make sure you eat at >place< when you are in >city<" or it could manifest on any number of review and travel sites. Conversely, a speciality commercial contractor may have have a presence on social networks and earn reasonable placement on search engines, but search and social are not primary drivers. Generally speaking, this kind of business isn't driven by first kind searchers. 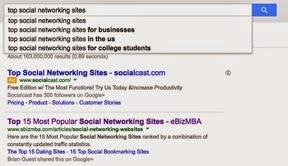 They rely on second kind searchers and direct referrers. As a result, the social and search portion of a marketing plan differ. Instead of popularity, the company needed to engage decision makers within their space — designers, architects, and general contractors who would have a specific need for the specialty provided. And the best way to accomplish that as a new company (but veteran owners) not to load up on search and social, but to create content that featured the designers, architects, and general contractors they were trying to reach and thereby giving their target audience an opportunity to become direct referrers. In both cases, while the restaurant clearly has some reliance on search (which was still eclipsed by hotel staff recommendations), neither company was overtly reliant on fleeting tips and tricks to gain temporary boosts from a search or social networks that are all too often treated as marketing channels. There are better ways to invest a marketing budget than website traffic or social network likes alone. Put the power of choice in the hands of customers not the platforms. The point is that all marketing plans ought to revolve around your own backyard, where it can be much more effectively managed. This is accomplished not by understanding platforms so much as understanding your customers, what they need, and when and how to deliver on that need. The more you understand about your existing customer, the more likely you will be able to expand that base by delivering on the value proposition and/or other closely content they will value. And this approach makes much more sense than what many companies do to inflate the appearance of success. 1. Companies spend money to rank higher across accidental and unrelated search queries. 2. Companies spend money to send people to social networks instead of their backyard. 3. Companies spend money to interrupt consumers at the wrong time and place. The most important takeaway for any organization is that all platforms change and they change so often that marketing professionals ought to be weary about any ticks and trips related to those three tactics because today's boost will be tomorrow's penalty and today's best investment will be tomorrow's waste of time. Stay focused on the constants of your company and customers first. With the proliferation of technology, some people assume that writing proficiency is increasing and not diminishing. This isn't the case. One recent OECD study shows that despite having higher than average educational attainment, adults in the United States are below average in basic literacy. "Moreover, the relationship between parents’ education and skills proficiency varies across generations," the study says. "In Korea and the United States, for example, the relationship between socio-economic background and skills proficiency is much weaker among younger adults than among older adults." 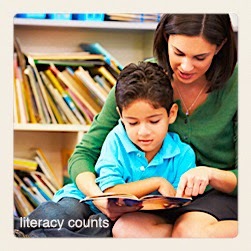 While some might not be surprised to see the study cite a decline in literacy, education is not at fault exclusively. Despite employers wanting employees with strong written and verbal communication skills, more and more professionals promote content tips that reinforce the idea that writing is less important than it was in previous decades. Here are five myths that demonstrate it. 1. Everything is trending toward less words so write less. While writing tight and economy of language are important objectives for all writers, writing "less" is always superseded by the idea that content needs to be as long as it takes to effectively communicate a point. 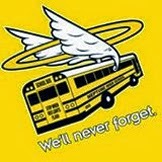 More can be memorable. Never mind what big brands do. 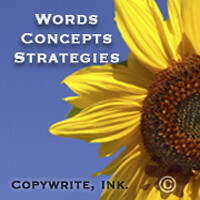 Copywriters have long known that big brands have the advantage of product familiarity. It's easy for Coca-Cola to show a big picture of a polar bear and a can of coke and have people understand it. Coca-Cola literally leverages a lifetime of marketing about Coke, its taste, and its product distinction. They don't write "less." They wrote "more" in a very, very big way. If you tried to launch a new brand of soda the same way, it would likely fail. New voices in social media and content marketing face the same challenge. Well-known names writing about social media can say something in a few sentences. Newcomers and less familiar voices have to provide proof. 2. Adding exciting words to marketing copy will jazz it up. The biggest division between advertising copywriters and less experienced marketing content writers is seen in their word choices. Many marketers think that people respond to "greatest," "most exciting," and "best ever." They don't. People respond best to facts because they convey memorable bits of information while empty claims lack conviction. You can write that a car has "zoom" and possibly attract attention (even if it is cliche), but if you don't back it up with facts — 0-50 mph in 60 seconds — people will easily draw their own conclusions. They might even conclude that all your hype is really hyperbole. The truth is that empty claims are as boring as cliches. They are also harder to remember because they blend into the background like other generalities. A restaurant that sells delicious chicken is much more forgettable than a restaurant that sells crispy fried chicken, oven-roasted chicken, or free-range chicken. While all of them could be delicious, facts help people make purchasing decisions. 3. Writing catchy copy takes almost no time at all. Real writers know that packing conviction into a few short graphs or a headline demands discipline. It requires editing skills, proofreading skills, cutting, rewriting, and then more cutting and more rewriting. Writing tight takes more time, not less. If you ever study automotive marketing, you'll find that the best manufacturers tell different parts of a big story across several mediums. Television commercials and some print advertisements are often nothing more than invitations to the rest of the message. The bulk of the marketing message comes later, perhaps in a brochure or on a website where it makes sense to provide details for people who are actively purchasing a car. The point? Looks can be deceiving. One ad with a 3-5 word headline has an entire novel of strategy, psychology, and content behind it. Very few good writers just jot down whatever comes to mind. For most, even if some spark did originate in the shower, the hard work happens before and after the fact. 4. Persuasion and believability comes from good writing alone. There is some truth to it, but not really. Even when writing is beautifully conceived and perfectly written, it still needs some help. This is especially true for advertising copy and marketing content because people know it is biased. When facts alone are not enough, content writers can employ several dozen approaches to elevate content credibility. These can include any number of customer testimonials, third-party endorsements or research studies, independent case studies, organization success stories, performance tests, key performance indicators, objective measurements, and even guarantees (provided they aren't cliche). Even marketing content writers can boost their credibility by providing links to other stories and sources. It demonstrates that the opinions, thoughts, and conclusions weren't generated in a closet but within a greater and informed context. Let readers know you've done some homework. 5. One medium will rule them all and in the darkness bind them. There is increasing chatter that visual communication is outpacing written communication on the net. It's true and untrue at the same time. Images can boost both attraction and retention but the notion that images beat words is fiction. Good copywriters (and perhaps all writers) have always known not to think in terms of words alone. Most are taught or teach themselves to think about communication as a mixed medium and in multiple dimensions. Pictures, symbols, shapes, layouts, and different components like audio and video can all contribute something to whatever needs to be communicated. The idea is to think visually, no matter what role writing plays as part of the communication. Ask good educators. They know it too. Teaching that includes audio, visual, and written communication creates powerful connections and increased retention. So don't expect writing to lose its luster anytime soon. It will only become more important. The solution for a better educated work force is to stop making excuses. The current education system isn't exclusively to blame. All five of these "tips" indirectly contribute to the greater myth that the written word is an inferior form of communication. It's not. The written word in one of the most accurate and flexible means of communication ever conceived and we're living in an era where we can access more of it than ever before in human history. As communication professionals, we ought to do everything we can to support the written word rather than dumbing down marketing communication to cover for the abundance of bad writing being produced on daily basis. It seems to me that overtly short content, marketing fluff, rushed content, unsupported claims, and pretty pictures aren't a solution to combat illiteracy but a contribution to it. These topics and how to make a positive impression with clear, concise, and grammatically-correct personal or business writing will be part of a half-day program, Editing & Proofreading Your Work, on June 6 at the University of Nevada, Las Vegas. In addition to discussing current trends, the class focuses on common mistakes that writers make and how to assess your individual writing skills. Anybody Can Sell Lipstick. Few People Can Sell Hope. If Charles Revson were alive today, I'm not convinced that the current state of cosmetic content marketing would impress him. Almost everyone in the industry is trying to sell makeup with it. He might even find it ironic. Before he revolutionized the cosmetics industry starting in 1932, everyone counted the same measurements that social media experts count today — impressions, shares, leads, and sales. He never did. Rather, he was among the first to say he didn't sell makeup. 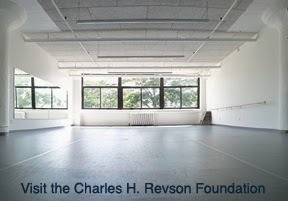 "In our factory, we make lipstick," Revson once clarified. "In our advertising, we sell hope." Never mind that during his tenure Revlon went on to dominate market share, he never sold makeup. What he did instead was win over women by opening their minds to the idea that they could look as good as anyone. He helped turn makeup into a means of self-expression rather than conformity. Somewhere along the way, after Revson was no longer part of the picture, the once major player in makeup began to lose steam. A few years ago, the company only made $1.4 billion in sales (half of that outside the United States). While that might seem respectable, it's 1/20th of what L'Oreal did. So what happened? Revlon started selling makeup in such a mass produced fashion that it fell out of favor as the provocative brand it once was. Instead of women feeling like they could be as attractive as Revlon celebrities, they felt forced to conform to the standard set by those celebrities. It's bad business, but it happens to brands all the time. Brands lose their way in the pursuit of sales over vision. And once they lose their way, it's hard to get it back (no matter how hard they try). How to make the Revson vision relevant today in content marketing. I once knew an advertising principal that prided himself on "not being in the advertising business but rather being in the check cashing business." He liked to cash checks. The quip sometimes lured sales-minded businesses in for the short term, but only the short term. It's hard to relate to people when they are always looking at your wallet much the same way it is hard to read sales-driven content. What people want out of advertising agencies isn't a tax write off. 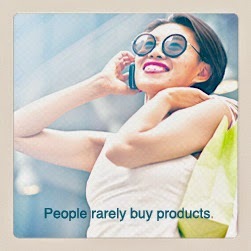 Most of them want to grow their business by opening new markets, increasing market share, expanding distribution, etc. But what happens all too often is they get sidetracked because someone sells them on the ideal of making themselves (and their shareholders) rich in the short term by lowering costs and increasing sales. Sure, the method works for some companies but not all them. When people want to look and feel their best, they don't necessarily think to search for "cheap lipstick" and then sort through reams of marketing content and purchased reviews. They search and look for something different. And once they find whatever that something might be, they might decide lipstick is part of the equation. In other words, to be successful in content marketing today, you have to think beyond a dozen celebrity endorsements, a thousand posts about cosmetics, or a hundred different white papers on lipstick. What you need to ask yourself is how your organization can make a psychological connection to the right person (as opposed to as many people as possible) at the right time. If Revson were alive today, he might support content marketing designed to add value to the lives of his customers but I doubt he would sell lipstick. It's very likely he would still sell hope but on a different canvas. Maybe your organization would be better off taking a page from this playbook too. Instead of trying to move the sales needle, recognize that the best form of persuasion isn't built upon what you have to sell but what people perceive they need. And if you really listen to them, you likely discover that they only need lipstick some of the time while they need hope (or whatever might correlate to your product) almost all of the time.